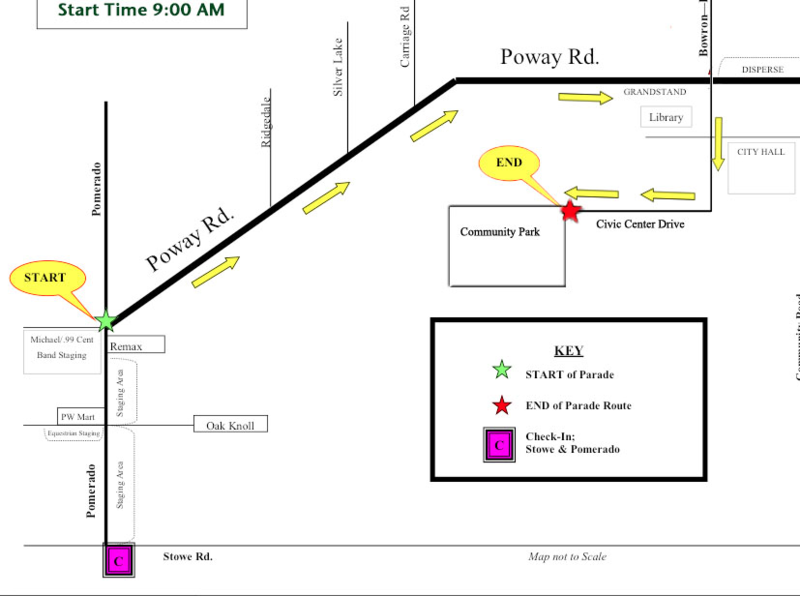 Call Time 8:00 AM (see map) The City will start closing roads at 8:00 AM so arrive early. Drop off at the Smart and Final parking lot near the corner of Poway Road and Pomerado Road. (used to be Michaels Craft store) Pick up on Community and Poway Road. 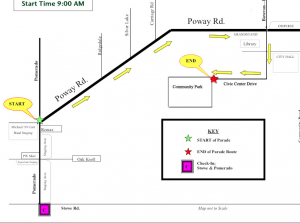 Parents: Drop your students off, then park by Community and Poway Road and watch the parade. Students will wear Red Polos, Black Shorts, White Socks and White Tennis Shoes. Use Sun Tan lotion, eat a good breakfast and drink plenty of water before you arrive!